New Directions Publishing Corporation, 9780811216012, 208pp. Cat on a Hot Tin Roof first heated up Broadway in 1955 with its gothic American story of brothers vying for their dying father's inheritance amid a whirlwind of sexuality, untethered in the person of Maggie the Cat. The play also daringly showcased the burden of sexuality repressed in the agony of her husband, Brick Pollitt. In spite of the public controversy Cat stirred up, it was awarded the Pulitzer Prize and the Drama Critics Circle Award for that year. 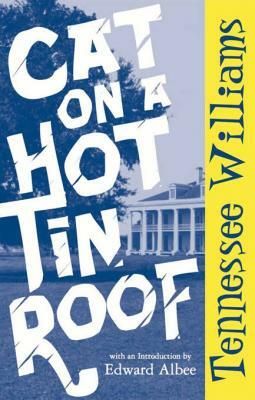 Williams, as he so often did with his plays, rewrote Cat on a Hot Tin Roof for many years--the present version was originally produced at the American Shakespeare Festival in 1974 with all the changes that made Williams finally declare the text to be definitive, and was most recently produced on Broadway in the 2003-04 season. This definitive edition also includes Williams' essay "Person-to-Person," Williams' notes on the various endings, and a short chronology of the author's life. One of America's greatest living playwrights, as well as a friend and colleague of Williams, Edward Albee has written a concise introduction to the play from a playwright's perspective, examining the candor, sensuality, power, and impact of Cat on a Hot Tin Roof then and now.